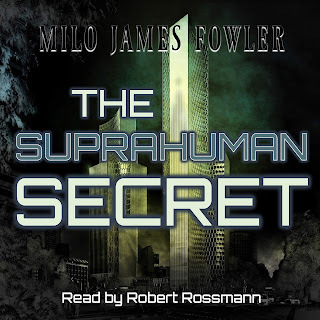 The audio version of The Suprahuman Secret is out, and Robert Rossmann put all of his stage acting skills to good use bringing world-weary private eye Charlie Madison to life. Most of my audiobooks have been well-produced, but this one is the best of the best. It collects Girl of Great Price, Immaterial Evidence, Yakuza Territory, and Chimera Effect. One reader called it "a futuristic detective series...part Terminator and part Maltese Falcon." Yep. Or Blade Runner meets X-Men.